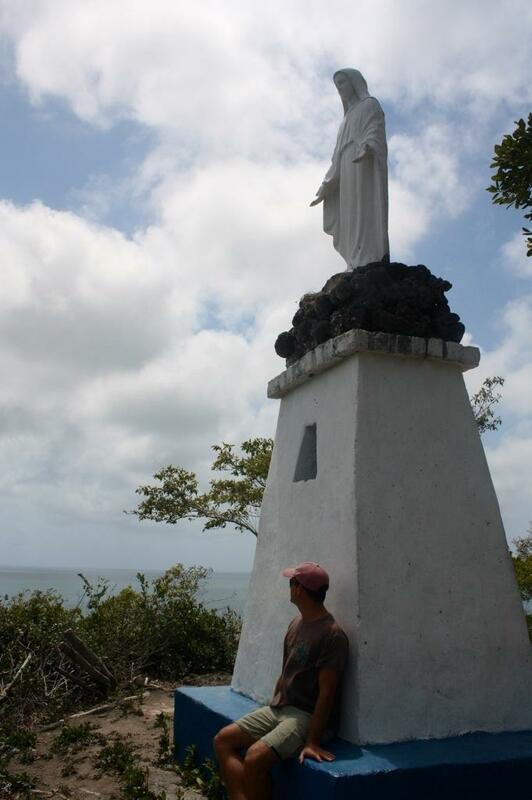 Santa Catalina (St. Catherine) is a small island nestled at the northern end of Providencia. 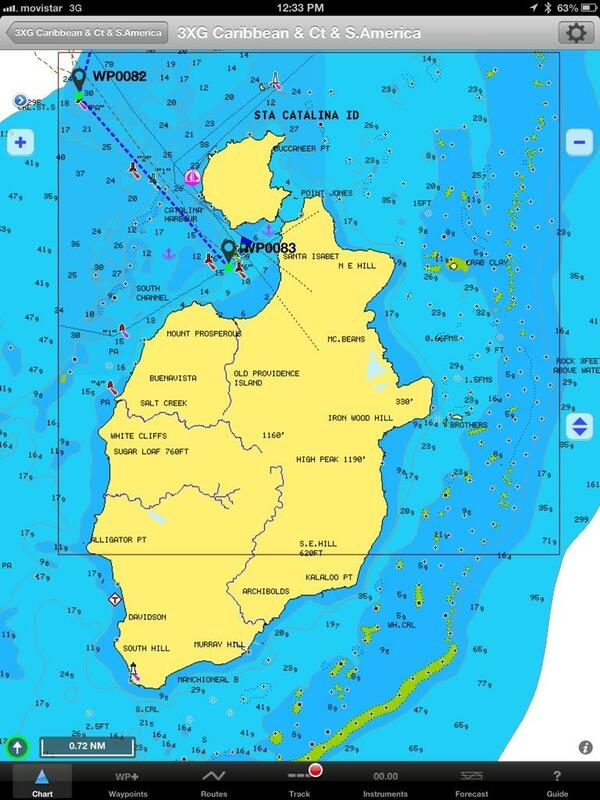 Our anchorage is actually located between the two islands. 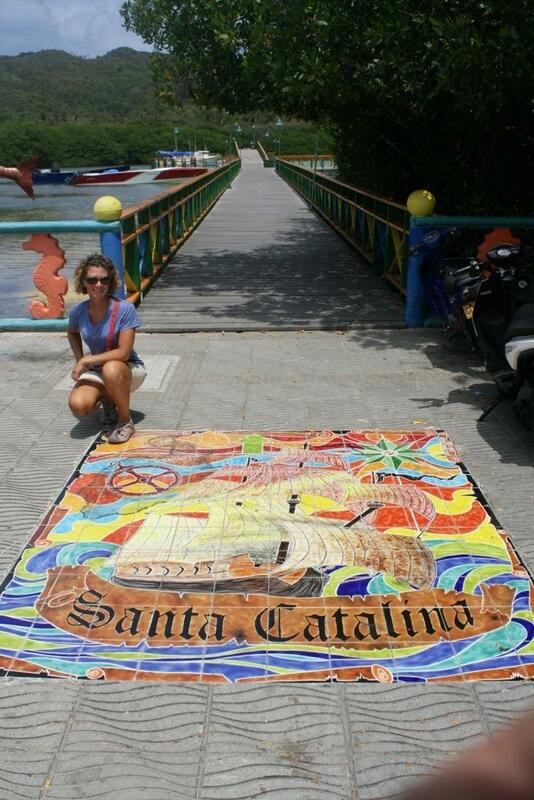 There is a lovely walking path on Santa Catalina; it was here that we began our land explorations. 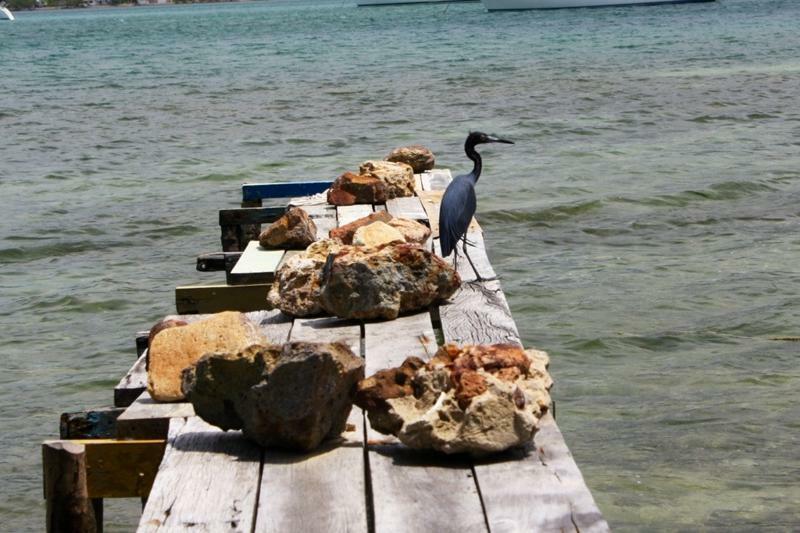 There are homes on the island, but the undeveloped land is an ecological preserve and so most of the inhabitants are iguanas, lizards, birds, boa constrictors, bats, and birds. We crossed the bridge and walked the path towards the east and were followed by one of the local dogs. 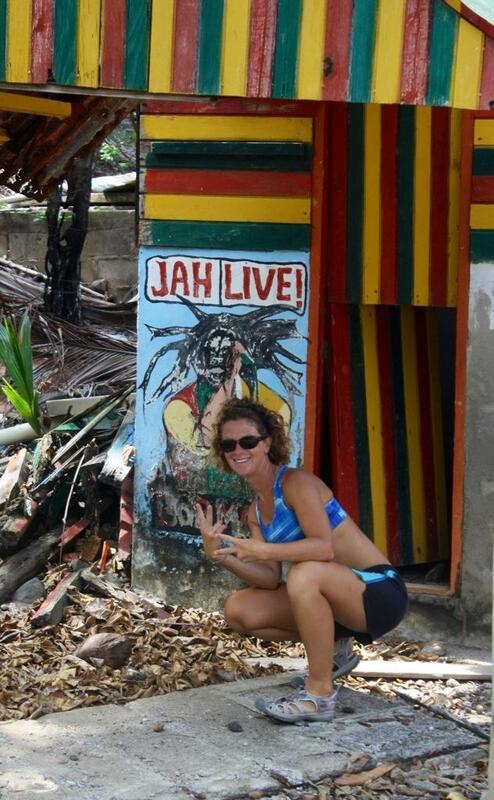 We certainly don’t miss pets on these islands! There are stray dogs everywhere, but this one actually wore a collar. He (the black dog) took a liking to us. When we reached the dead-end we were greeted by a puppy (the yellow dog). The puppy wanted to play with the dog but the dog was not interested. The dog brought Brian into the play-or-not-to-play debate by charging into Brian’s legs attempting to position Brian in the center of the conflict. Brian was not in harm’s way, the dogs really were playing and they soon circled around Brian and padded down the path. 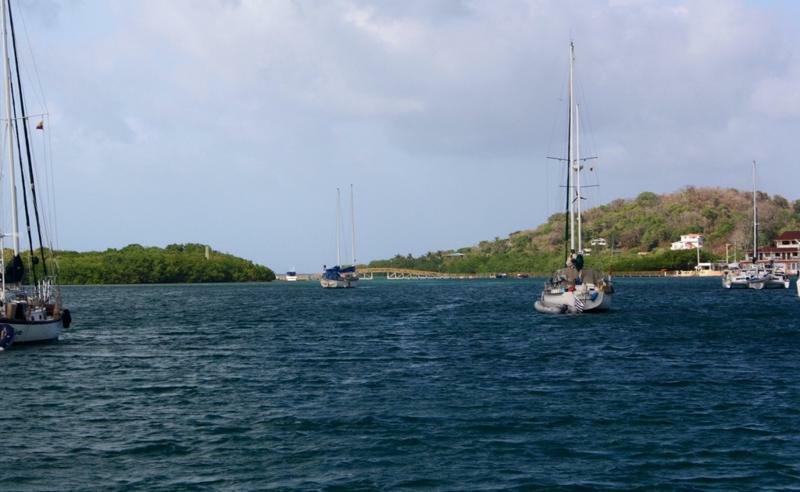 MILTA POINT – Area where pirates were hung and protestants burned habitat of mangroves and seagulls. We walked the path towards the west. Along the muddy edges of the path where mangroves grew there were tiny crabs poking in and out of holes. 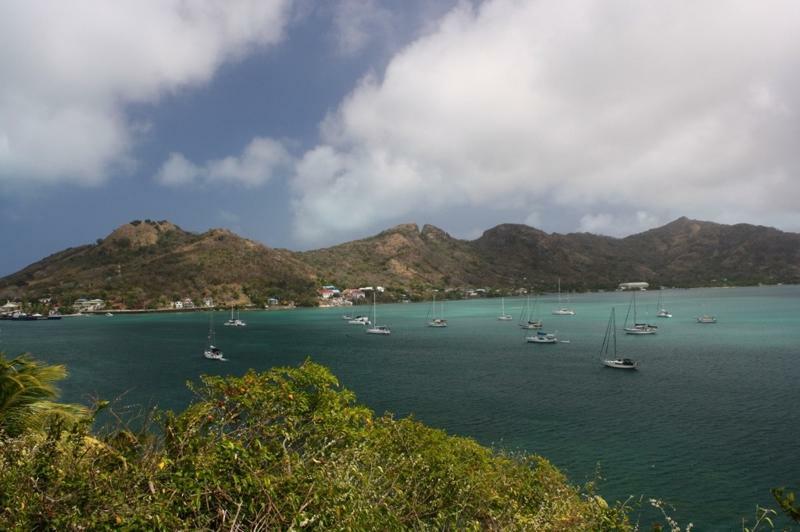 Santa Catalina and Providencia are home to land crabs also, however we’ve spotted few of them along our walks. We passed several homes in various states of repair. Along the shoreline we passed several docks, also in various states of repair, most of which had skiff-type motorboats tied to them. 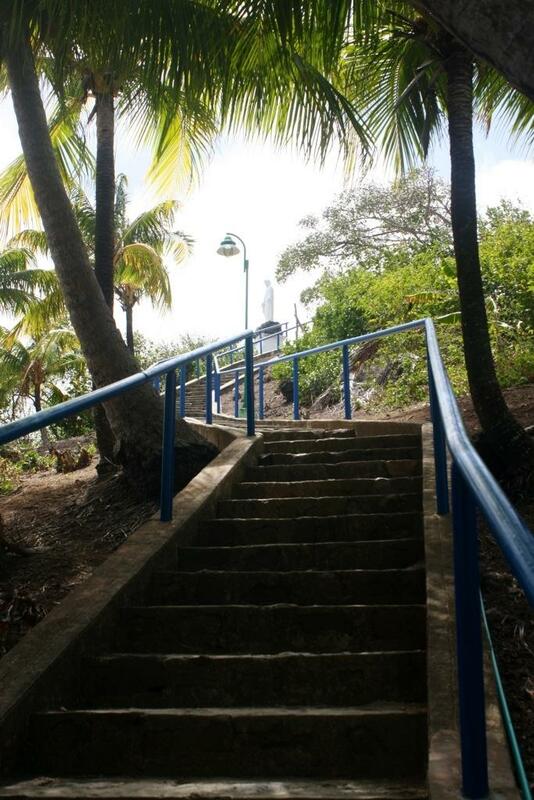 A long stairway led us to the top of the western end of Santa Catalina. 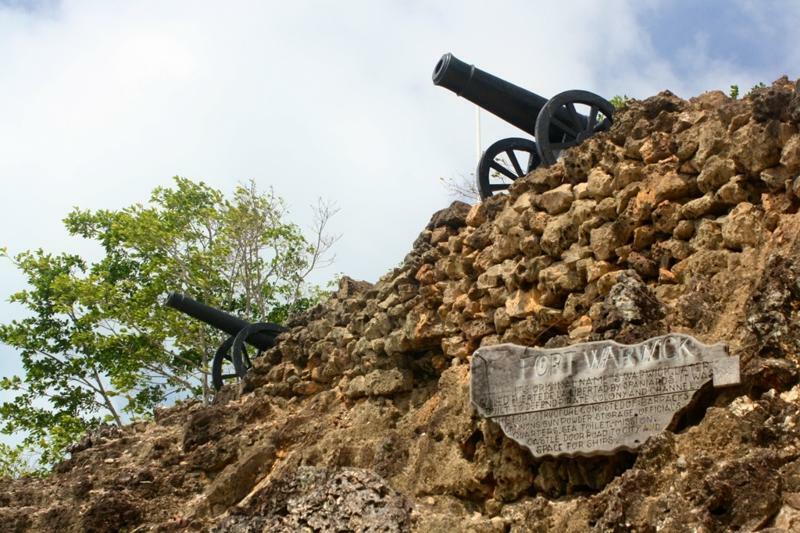 FORT WARWICK – Its original name is Warwick, later called Fuerte de la Libertad by Spaniards. It was built to defend pirate colony and channel. The fort structure consisted of barracks, cannons, gun powder storage, official’s quarters, sea toilet, mission, castle door, road to city, and space for ships. 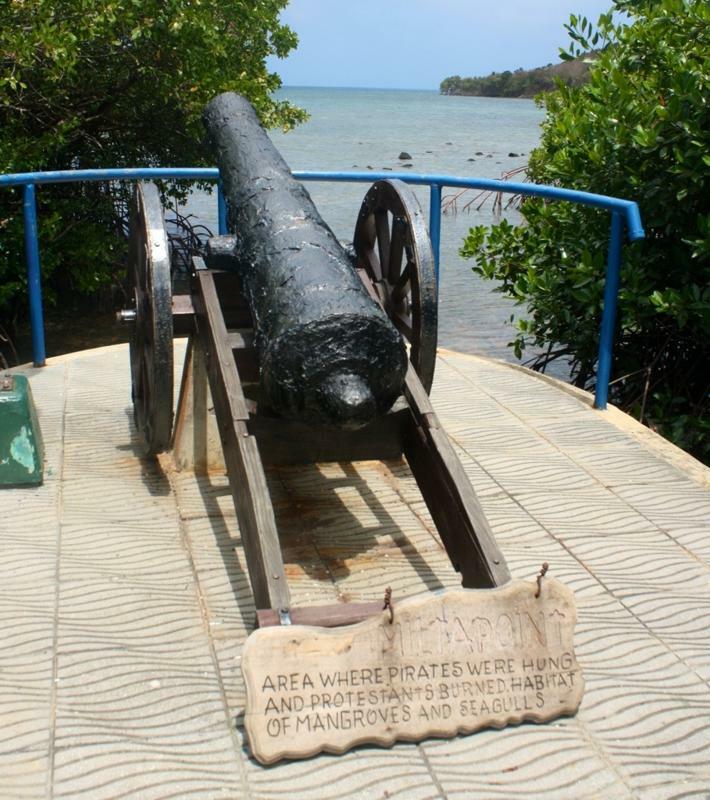 Our research tells us that Fort Warwick was constructed in the 1600’s when a pirate by the name of Henry Morgan had overtaken Providencia and Santa Catalina. Below the fort, another stairway leads to a beach and to a trail which leads to “Morgan’s Head” a rock formation on the western end of Santa Catalina. 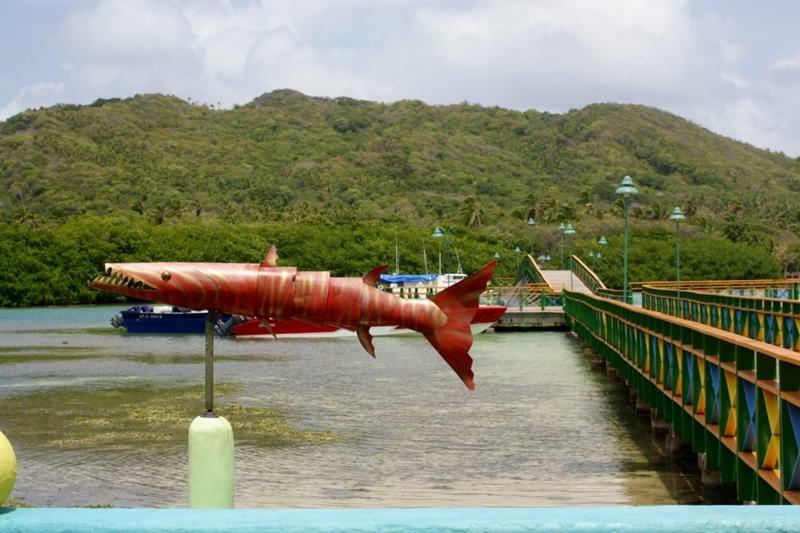 More to come of Santa Catalina and Morgan’s Head…for now we are enjoying the view. 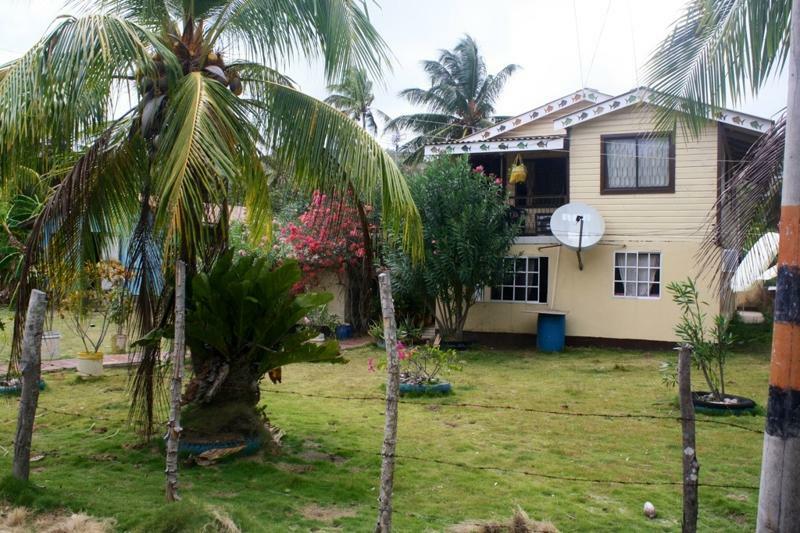 This entry was posted in Uncategorized and tagged providencia, santa catalina, st catherine by stephanie. Bookmark the permalink. Have fun and look forward to more updates!! Big hugs to ya both. SV Anthyllide, Yo soy valiente!